Estimated Read Time: 9 minutes. We know that escalating housing prices make affordability a concern for residents across the income spectrum. For people with lower incomes, it is an issue of basic quality of life and health. The high cost of housing, and the unavailability of cheaper forms of housing, touches every community within the CVRD. It affects working people, seniors, families, businesses, and the economy. It also increases the number of homeless people, many of whom are working with good jobs. 365 for households with an average income of $44,448. The BC Affordable Housing Plan also project rental housing demand, which shows that in addition to the current backlog, there will be new demand of 864 more units by 2026. As the above graph shows, we are anticipating need in three different categories: core housing, missing middle, and market. People in core housing need are the most vulnerable to becoming homeless. Affordability: If a household is paying more than 30% of its gross household income on shelter costs, then its accommodation is deemed to be unaffordable. Suitability: If a household does not have enough bedrooms for the size and make-up of its occupants (according to National Occupancy Standard), it is considered to be unsuitable. Overcrowding and suitability are used interchangeably throughout the report. Adequacy: If a household’s dwelling is in need of major repairs, as determined by its occupants, then its accommodation is deemed to be inadequate. If a household fails to meet one or more of these three criteria, and cannot afford a local unit that meets all three standards, they are considered to be core housing need. Household income and average market rent are the key variables for determining if a household lives in core need. Missing middle refers renter households who are overcrowded, or living below multiple housing standards but have a household income high enough to afford acceptable local housing in their regional district. In 2011, renter households in the missing middle had incomes of $42,000 in Alberni Clayoquot and $76,000 in Metro Vancouver. The BC Affordable Housing Plan projects future missing middle household growth based on an estimate of household maintainers earning between $30,000 and $50,000. Market means those that can afford to pay more than the missing middle, but are still priced out of the market due to lack of housing options. Census data from 2016 shows that housing vulnerability is very high for people who rent in the Cowichan region (1 in 5 or 20% of all households). Over half of renting households spend more than 30% of their income on housing. People who own their own homes also have problems with affordability or other aspect of housing need. Overall 25% of all households in the region (renters and home owners) have challenges with housing adequacy, suitability or affordability. What about the people without homes of their own? The 2018 Community plan to end homelessness documented that, in 2017, 151 people were homeless within the region, a significant increase over the findings of the 2014 point in time count. According to the United Way, the number has continued to increase since the summer of 2017. Typically, homeless people are middle aged and male, but there are an increasing number of women, families, seniors, and young people. The numbers far exceed the capacity of Warmland House. There have been a number of tent cities established in the region over the past few years. For a percentage of homeless people, the situation is complicated by untreated mental illnesses, addictions, or other complex health needs. What are community groups doing? At the community level, the issue of homelessness has been a concern for some time. Starting in 2007, community leaders came together and established the Warmland shelter, and developed a continuum of housing options available to people once they moved from the shelter. Hiiye’yu Lelum – House of Friendship, drawing on both federal and provincial resources, formally began helping Indigenous people experiencing (or at risk of) homelessness meet basic needs and connect to housing using a housing subsidy. In addition to funding social housing, BC Housing has provided an increasing number of housing subsidies for homeless prevention, aimed at low-income seniors, working families and others at risk of becoming homeless, including individuals leaving institutions (corrections, hospitals), youth, women fleeing violence and Indigenous people. These funds are generally distributed with the assistance of community organizations providing services to those in need. What are local governments doing? Municipal policy frameworks have historically operated under the assumption that affordable housing would be the off-shoot of a private development, or development funded by a senior level of government. This has not been effective in providing affordable housing within the region. More recently, CVRD’s member municipalities’ policy frameworks have taken a more direct role, seeking to address affordable housing through permissive zoning (e.g. to facilitate use of secondary suites, infill development and densification) and financial incentives (density bonusing, fee waivers, and tax exemptions). Electoral Area Official Community Plans recognize the need for affordable housing in rural areas, including mobile home parks and suites as a way to address some of the need. They also recognize that any housing that requires density should be directed at the municipalities or to areas within village containment boundaries, close to jobs, services, schools, transportation, amenities and infrastructure. North Cowichan has gone one step further, and reached out to community groups, and facilitated the development of two affordable housing projects on lands owned by the municipality: one in the Duncan area, in partnership with Cowichan Women Against Violence Society, and one in Chemainus for seniors housing. These projects are being carried out in partnership with the Community Land Trust, a non-profit society serving as the real estate development arm of the Cooperative Housing Federation of BC. After a review of the affordable housing situation, including the identified gaps, the CVRD Board decided that its most important role would be to propose a financial service to provide funding for seed money and other types of supports for affordable housing projects. 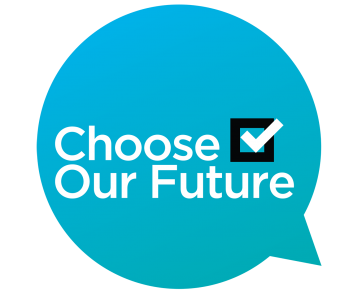 This referendum question is before the electorate for the upcoming October 20 local government elections, it will up to the citizens of the Cowichan region to choose our future. Next Post Is Our Drinking Water at Risk?